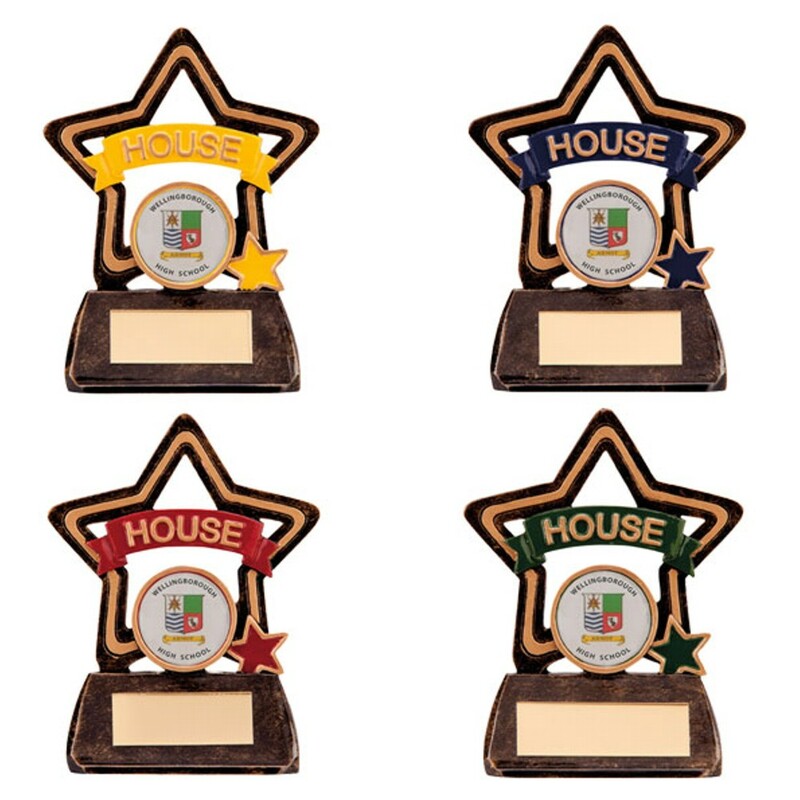 Resin School House Star Trophies. 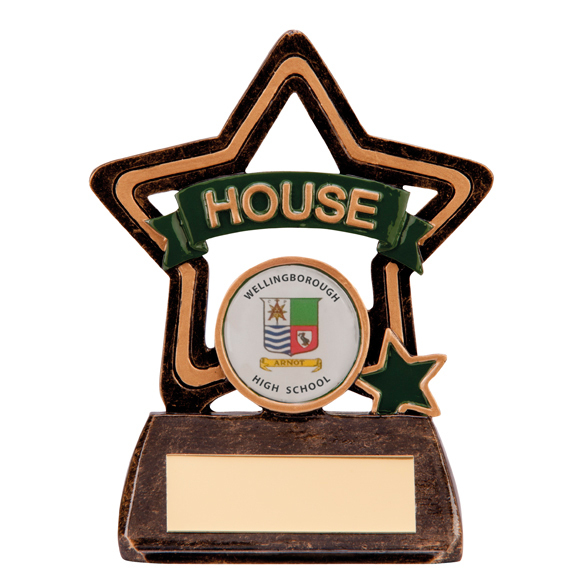 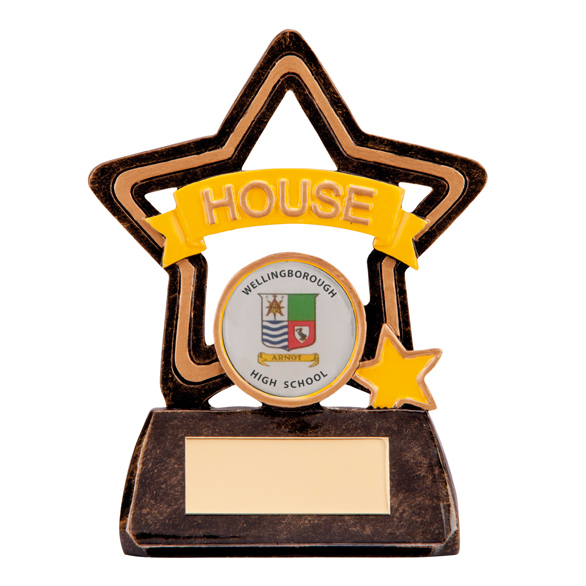 This great little award measures 105mm high and comes in 4 house colours, Red, Yellow, Green and Blue. 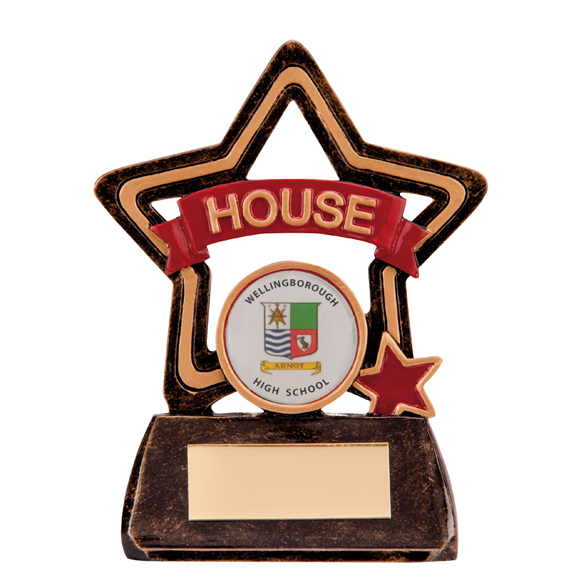 Antique bronze award with gold detail.